The Desert Course at Arabian Ranches was designed by 1991 Open Champion Ian Baker-Finch, with assistance from the team at Nicklaus Design. The course is literally carved from the Arabian desert, with less than a dozen bunkers employed across the course but narrow fairways bordered by the raw, sandy scrub. 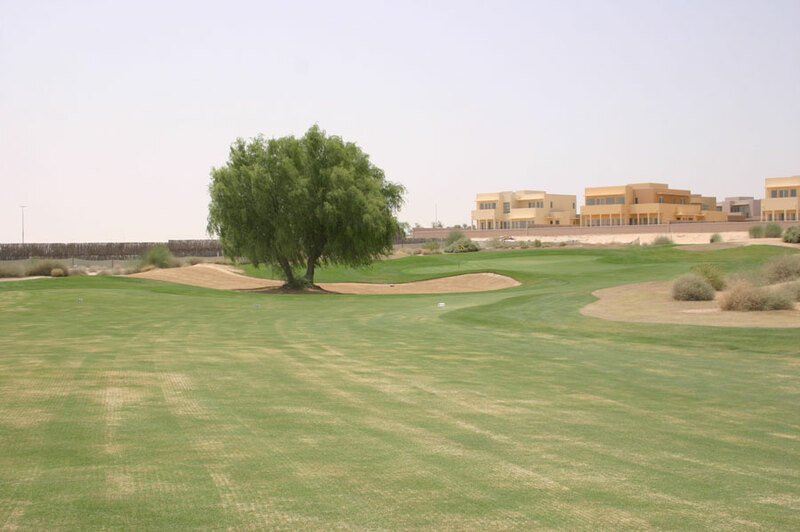 Further inland than others in Dubai, the contrast of green grass and desert sand and the fact winds tend to whip across the property makes the layout extremely demanding both visually and physically. 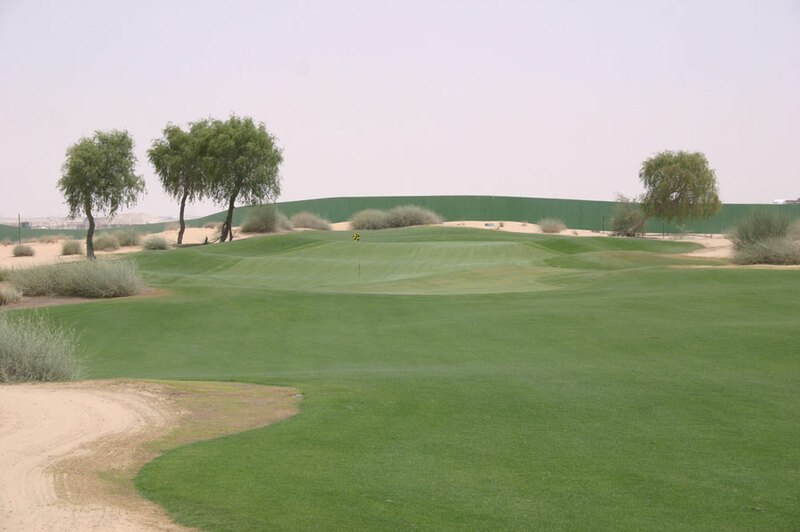 While the opening hole shows promise, and features a gently rolling fairway and interesting chase-in green site, the rest of the course is fairly unremarkable. One of the problems is repetition around the greens, while the course is also a touch narrow from the tee. 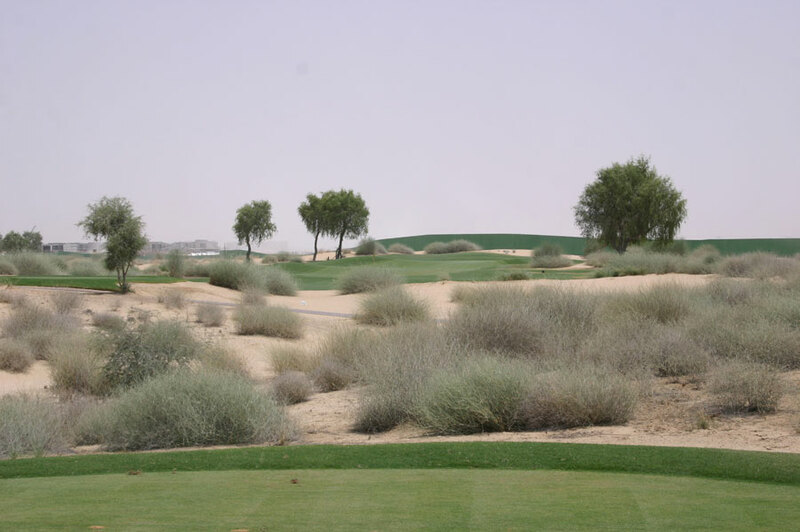 This is particularly true when the winds get up, as fairways are lined by the sandy desert and it’s often difficult to make out where the actual landing areas are because the view from the tee is obscured by shrubs and native grasses. 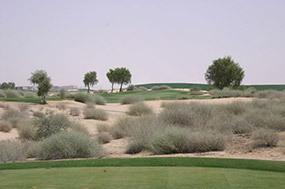 Approach play is then complicated by continually hitting into either undulating small greens fronted by a knoll, or excessively penal wide ones. Length is another issue here, from the back tees the course is crazy long while there is a distinct lack of subtlety across the layout. The par threes are all long while the reachable par fives and short par fours tend to deter aggressive play through penal green sites. 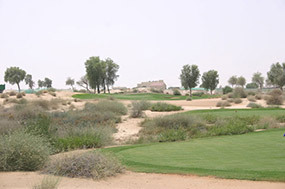 The 15th for example is an all-carry hole across the desert, with laying up and pitching to the green the only sensible choice for the vast majority of players. This would have been a difficult project for Baker-Finch and his helpers at Nicklaus Design. They didn’t do a bad job, but we hoped for more.